You saw a cute poodle puppy and want to fast forward to puppy adopt mode. Owning a puppy, and taking care of a puppy, is a huge responsibility, and future poodle owners need to be sure they are ready, financially, physically and emotionally for a new addition to the family. There is lots of information you need to know before you sign the papers to adopt that cutie. Your pet will be a member of the family for 12 to 18 years and will need daily care. You'll need to decide if a poodle is the right dog for you. Will he fit your lifestyle, your personality and your family's lifestyle? Or maybe an older adult poodle would fit in better as there's usually less training needed. A local animal shelter or rescue organization can help you find a grown dog. Grown poodles usually don't need as much training as a puppy would. Adult dogs are good for people with little time or patience for house training. Do you want a male or female dog? If you have a preference, fine, but breeders recommend you choose a poodle based on its personality, your living situation and your lifestyle. And never go out and buy Christmas puppies without a family meeting to see if everyone is committed to caring for a puppy. There's also basic puppy supplies you'll need for your home when you puppy adopt to make your puppy as comfortable and healthy as possible. Your pup's arrival home is an exciting time for everyone! You'll want to make sure his indoor environment is safe from anything that could hurt him. The outdoor area should be free from any dangerous chemicals or gaps in fences. Decide on what type of bed you want for him and where it will be located. Puppy's first night in your home will be a little scary for him. 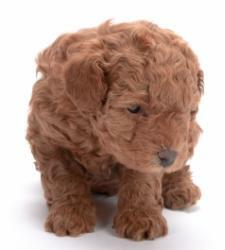 The first few months you have with your puppy are a learning experience for both poodle and owner. Your pup needs lots of love and attention to ease her through the first few lonely days and nights away from her mother and littermates. This is the time to ease his fear of noises. Socializing your poodle is important, and you'll learn how to introduce her gradually to other pets and children in the family. Learn what to expect before she walks through your door. Shower lots of love and attention on your pup her first few days in a new home. She'll miss her mother and her littermates and will look to your family to fill those roles. 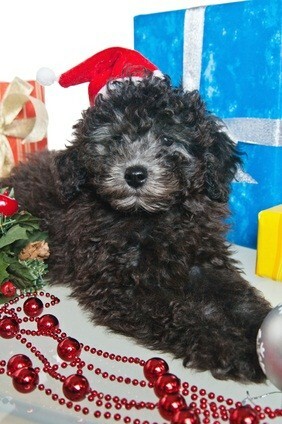 A poodle puppy will soon be an important member of the family. She'll love, honor and protect her pack and will be a fun loving, intelligent and happy new family member.